Air pollution is not a new topic. We may want to ignore its existence because we feel it’s out of our control, but it can still harm our health. Although we cannot control our city’s smog rate or carbon monoxide levels, we do have some control over how much we are exposed to air pollution both inside and outside of our homes. Bottom line? Pollutants like smog, sulfates, nitrates, and carbon are toxic to our bodies, and we need to take every possible measure to avoid them. This means becoming aware of the situation, learning as much as you can, and becoming proactive about caring for your health. Poor air quality is an international problem recognized worldwide. So much so that major laws are being enforced by the United Nations and backed by the World Health Organization (WHO). Air pollution is linked to a large number of health problems, from short-term irritations to terminal illness. Sadly, we’ve done this to ourselves. Almost all of the pollution that affects our air is man-made, resulting from manufacturing and transportation. A great deal has derived from our dependence on fossil fuels. The first incident of air pollution that sparked investigation was in 1948. In Donora, Pennsylvania, a lethal haze developed that severely affected the respiratory and cardiovascular health of nearly half the town’s residents, resulting in at least 20 deaths. With steel and zinc smelters polluting the town’s air for years, a rare weather occurrence, in which a warm air pocket passed high above the city and trapped cool air, prevent air pollution from blowing away. The dirty air sat stagnant as residents breathed in the lethal amounts of toxins. The thick blankets of smog engulfing the streets were a red flag for scientists to begin investigating links between air pollution and health. Although extreme, the situation in Donora was the harsh consequence of the large industrial growth that had taken place in the country and across the globe. States began to slowly pass legislation in attempts to regulate air pollution. Reducing environmental risks by using the best scientific information available. Initiating federal laws to protect human health and the environment through Congress. Ensuring all communities, individuals, and businesses, and state, local, and tribal governments have access to the best information available to manage health and environmental risks for their domains. Cleaning up contaminated lands and toxic sites through responsible parties. Evaluating and reviewing chemicals in the market for safety. Giving grants to state environmental programs, nonprofits, and educational institutions for a variety of projects ranging from scientific studies to community cleanups. Studying environmental issues to identify and solve problems. Creating strategic alliances and partnerships with other businesses, nonprofits, and organizations to protect the environment through projects including conserving water, recycling programs, dealing with pesticidal risks, and minimizing greenhouse gases. Teaching the general public about the environment and how to protect it through informal education programs. Publishing information through the website to inform the public about ongoing activities. The EPA has played a major role in protecting the environment including regulating and preventing air pollution problems. Today, EPA scientists, engineers, and physicians are working together to address the worldwide challenges and issues associated with air quality management. 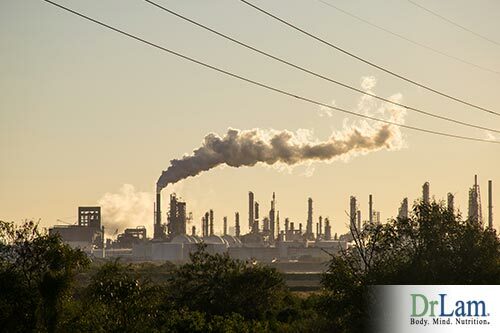 Through cutting-edge technology, research, and product development, they have established regulations and put in effect cost-effective approaches to reduce and control air pollution. The major goal is to find the sources that impact our health, such as cars, trucks, and power plants, and regulate and reduce the emitted toxins. The EPA reevaluates their data for the most common pollutants every five years to assess the sufficiency of their air regulations. If needed, the regulations are adjusted and modified. They are constantly testing and researching in attempts to keep the Earth and its inhabitants healthy. Their research program is innovative and uses interdisciplinary approaches to address the air pollution problem. According to studies conducted by the World Health Organization and EPA, the tiny particles in the air that constitute pollution do the most harm to the eyes, respiratory tract, and cardiovascular system. 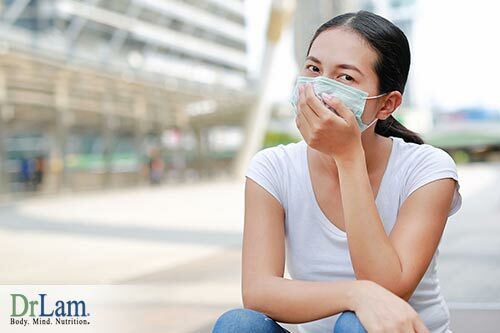 Airborne pollutants like nitrous oxide or sulfur dioxide can cause damage to the respiratory tract which will induce coughing, mucus secretions, and can result in long-term infections. Those who are particularly affected are young children, elderly, asthma sufferers, those with compromised immune systems, or those who already have pre-existing cardiovascular or lung diseases. Long-term exposure to air pollution can result in breathing problems, lung cancer, cardiovascular disease, and even death. More than two million people die each year due to the toxins in the air. It has been estimated by WHO that cities with high levels of pollution have a 15-20% higher mortality rate than those with a lower score. Essentially, adrenal fatigue is caused by the adrenal glands no longer being able to cope with the body’s stress level. However, it is important to understand, stress is not the only culprit in the equation. The body has probably reached this point for many reasons, one being air pollution. Toxic overload is dangerous and debilitating. It can be a primary factor in adrenal fatigue. The level of toxicity we face daily can lead to serious health problems, and most of the time, we don’t even realize they are there. The pesticides, antibiotics, and chemicals in the food we eat, the chlorine in the water we drink, and the pollution in the air we breathe are all toxic to the body and are all factors in our toxic overload. Many of these chemicals disrupt the adrenal function directly, and over time, with continual disruption, adrenal fatigue will occur. For those who have reached the point of adrenal exhaustion, more exposure to air pollution and other stress-inducing elements can be further debilitating to the body. Avoid exercising in polluted areas. Stay indoors on highly polluted days. Recirculate the air in your car to avoid bringing in polluted air. Wear a mask if outside in urban or polluted areas. Invest in a good home or bedroom air purifying system.